Workflows now have a more powerful, further reaching bigger brother. 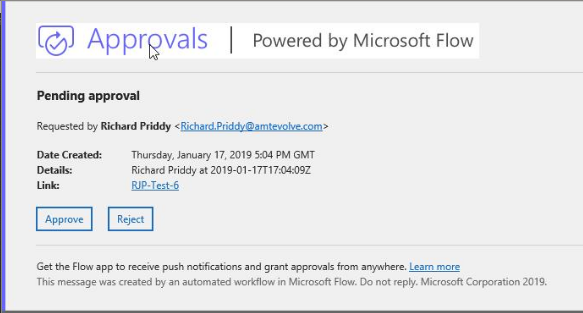 First released in 2017, Microsoft Flow has been introduced to allow any user to automate their working lives. The creation of SharePoint Designer Workflows was originally seen as a specialist task for skilled developers or those with training. These allowed a certain level of automation tasks triggered manually or by the creation or updating of SharePoint list items. Thus, making them a more specialist task. Flow changes things massively for the end user. 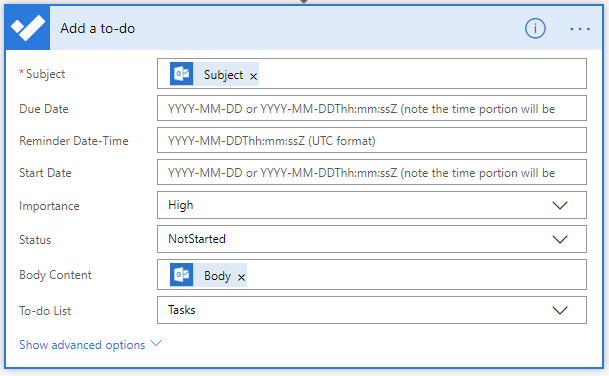 Users are now able to create an automated task triggered by SharePoint lists. Office 365 Outlook Emails, RSS feeds, OneDrive for Business file uploads, Google Calendars and Timer events to name a few. Want to receive a text message when a high importance email arrives in your inbox from your manager? Want a daily digest of news items published to your company’s news RSS feed? Use SalesForce and need a weekly digest of all new opportunities to be sent to your Sales Manager? 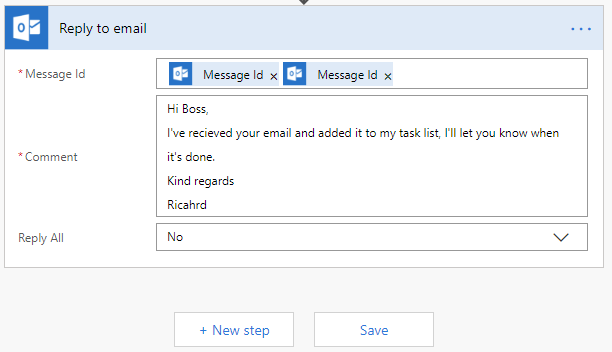 Want to automatically create a To-Do task for any important emails you receive? Microsoft Flow can easily accomplish all of these for you. In this blog, we will be using the example of wanting to create a to-do task. Whenever you receive a high importance email from your boss, it will automatically reply saying that you’ve received their request and have made a note for it to be completed asap. We’ll start by accessing Flow at https://flow.microsoft.com/ and click on “My flows” from the left-hand navigation bar. Click the “New” button and we’ll “Create from blank”. Scroll through the triggers and find “When a new email arrives”. 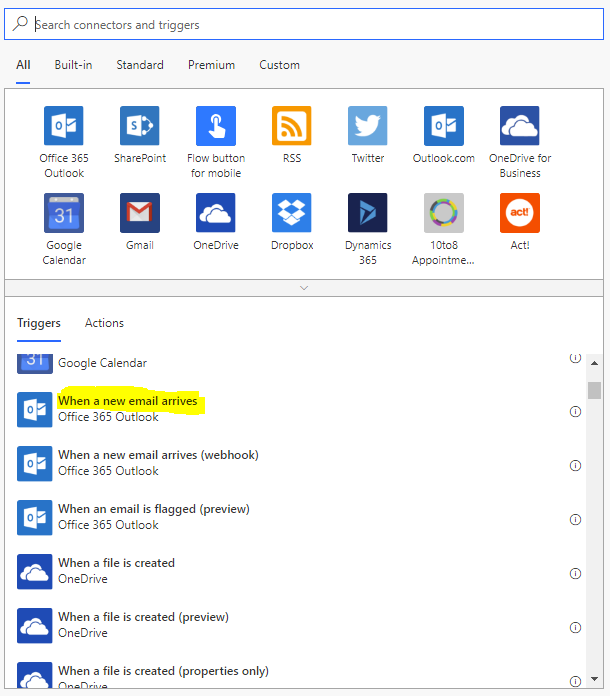 Click the “Show advanced options” link to configure the connector (This will automatically be connected to your Office365 email account). Set the properties up to filter on emails from your manager’s email address with High importance. 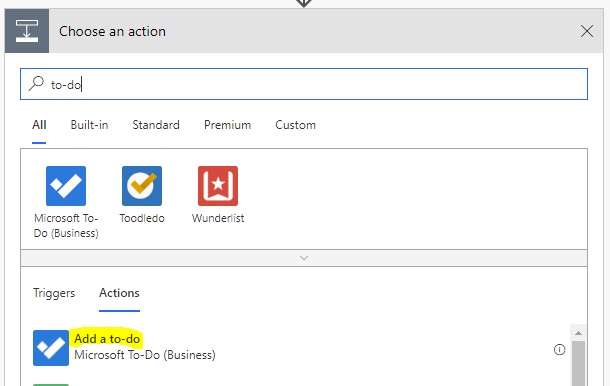 Click “+ New step” and search for “to-do” selecting the Add a to Action. This will automatically create a To-do subscription and allow you to fill in the details for your To-do item. By putting your cursor into the “Subject” box, a popup will appear. 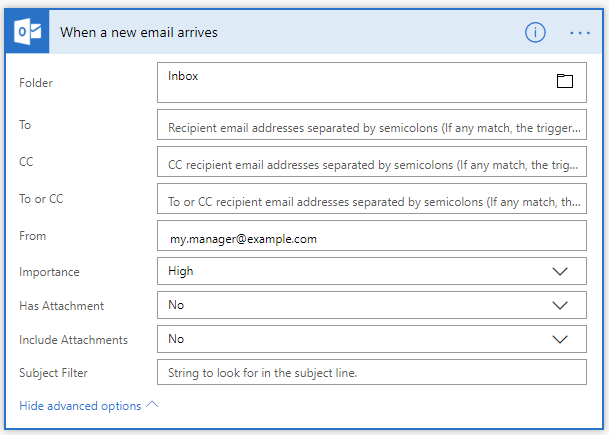 This will allow you to set the Subject of your To-do item to the email subject. Continue this to populate the rest of the options. Finally, we’ll set an automatic response to let your boss know that you’ve received his email and it’s been added to your task list. Click “+ New step” again and search “reply” and select “Reply to email”. 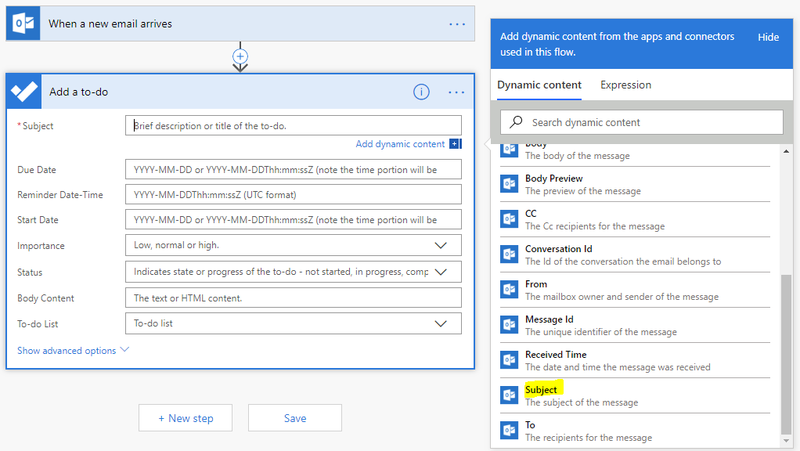 To populate the “Message Id” field, scroll down the dynamic content popup and find “Message Id” from the first Action. Populate the rest of the fields and click “Save”. Finally, click the back arrow to return to the overview of your new Flow. Want to know more about how this could be applied to your business? This blog post was written by Richard Priddy (Our Senior HTML5 Web application developer).